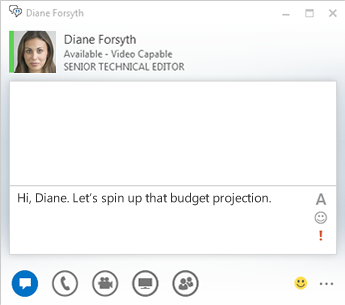 Lync helps you stay connected to the people who are important to you via instant messaging, email, audio and video calls, persistent chat rooms, and online meetings and presentations. 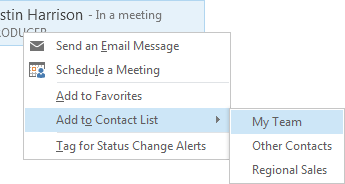 This article takes you through some basic Lync tasks to get you started. 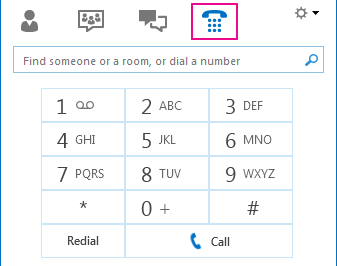 If you don’t see what you need here, check the following topic: FAQ about Lync. 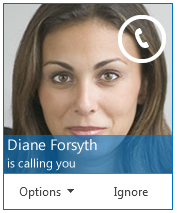 In the search field on the Lync main window, type the name, email address, or phone number of the person you want to add. When the Contacts list appears, point at the picture (or picture display area) of the person, and click More Options. Point to Add to Contact List and select a group for your new contact to belong to. Note: Your sent message will show a small representation of the added file or picture. To open the file or see the picture at full size, the recipient clicks Save or Copy and transfer the file to their machine. 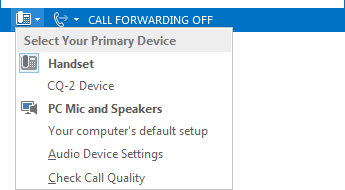 Click Select Your Primary Device in the lower-left corner of Lync. 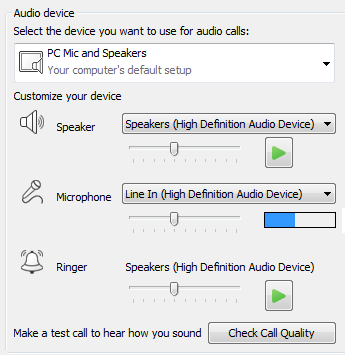 Click the menu under Select the device you want to use for audio calls. If you have more than one audio device, pick the one you prefer. Pause on the contact listing for the person you want to call. Click the Phone icon to call the contact. Click the arrow next to the Phone icon and select another number. Click the numbers on the dial pad or type the number in the search box. To redirect the call click Mobile or Home. If you get a video call, but want to answer with audio only, click Answer With Audio Only. 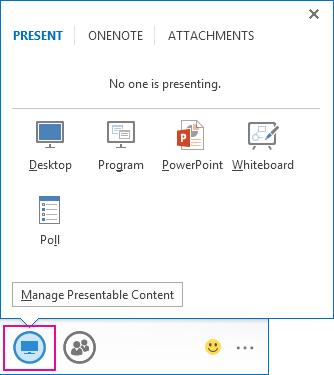 Pause on the presentation (monitor) button > Present tab.